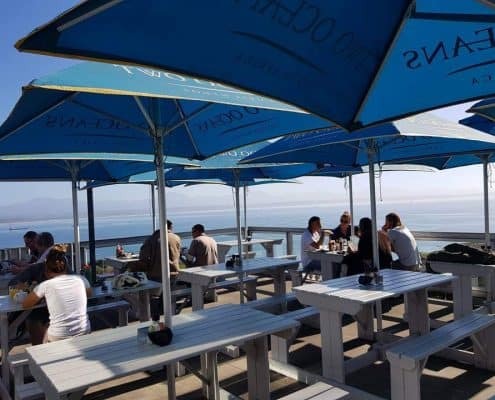 Places to Eat Mossel Bay. Find that perfect seafood restaurant on the Harbour or enjoy the best steak at a grill & steak restaurant. If it is a quint coffee shop you are looking for or a A la carte meal at a Hotel. 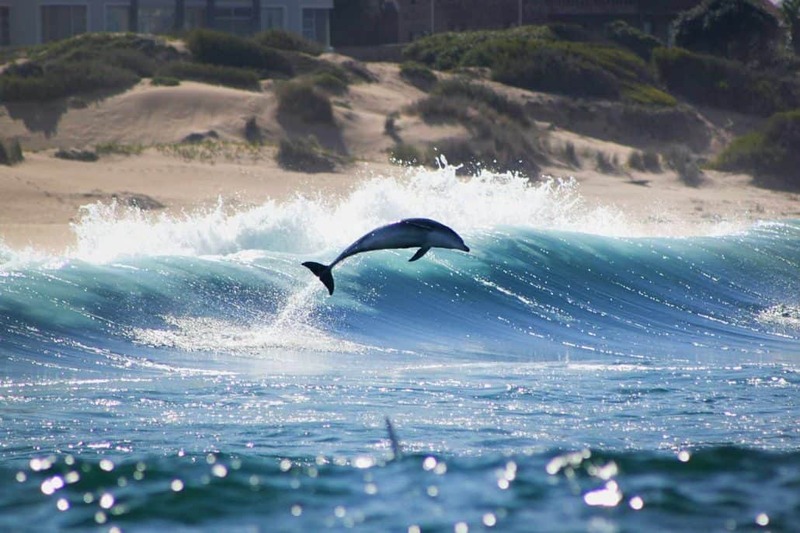 You will find it all in Mossel Bay. 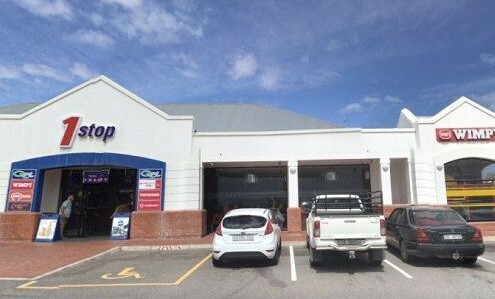 Fast food restaurant at the 1 Stop Engen on the N2 highway. Just before you enter Mossel Bay from the west. (Dana Bay side) In the Western Cape along the coastal part of the well-known Garden Route. Wimpy is in fact known as the breakfast leaders in South Africa. They are also a leading South African quick service restaurant offering a wide range of burgers, breakfast and coffee. 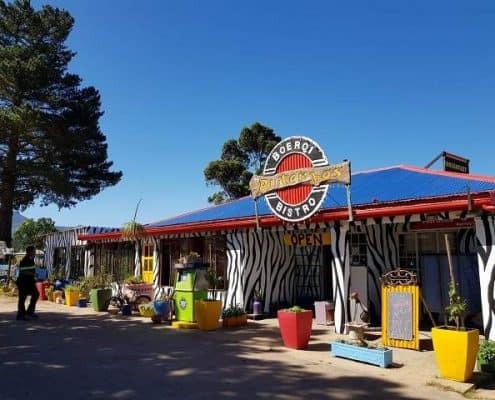 Licensed Restaurant, Pizza Pub, Gift Shop as well as General Dealer at Ruiterbos Farm Stall. A rural area round about 35 km from Mossel Bay on the way to Oudtshoorn on the lovely Garden Route. Offering fresh air, tranquillity as well as an exquisite view of the monumental Outeniqua Mountains. Biker friendly, wheelchair friendly, kids friendly, with warm coffee, fresh, warm roosterkoek and other wholesome food. 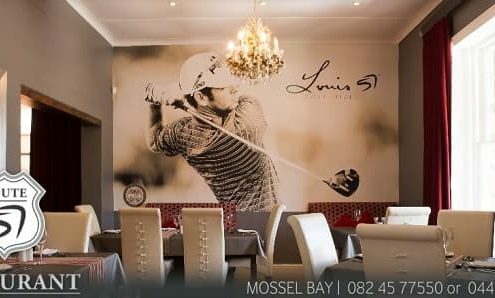 Upmarket fine dining Restaurant in Mossel Bay, Western Cape along the Garden Route. Offering South African dishes and true South African hospitality in a pleasant ambience. Visually as well as palatably perfectly presented every time. With a large and varied menu and always using only the best quality fresh produce. 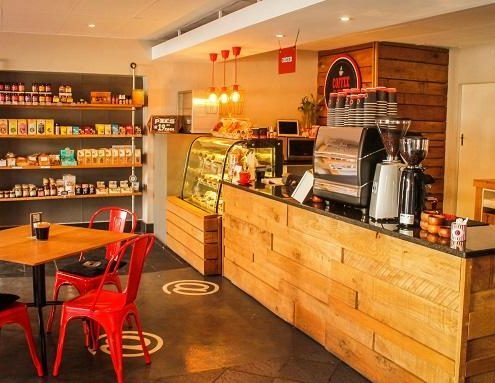 Coffee Roastery, Restaurant and Coffee Shop in Voorbaai, Mossel Bay. Just off the N2 along the famous Garden Route in the Western Cape, South Africa. 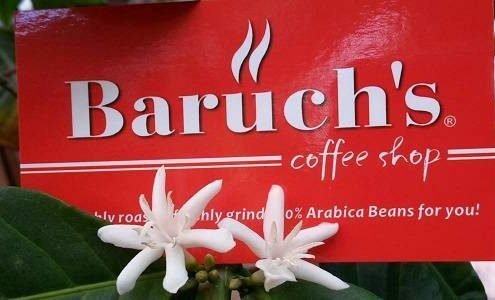 Offering authentic Israeli cuisine, cakes and coffee beverages made from freshly roasted 100% Arabica coffee beans. Sourced from Kenya, Ethiopia, Colombia, Brazil, Guatamala as well as El Salvador. Coffee Shop, Deli, Cafe, Restaurant offering coffee on the go. Also breakfast, brunch, lunch, quick snacks and various beverages. In the heart of Mossel Bay CBD, Western Cape, South Africa, along the famous Garden Route. Their main attraction is of course various forms of coffee which they prepare from Beans about Coffee's products. This modern establishment with the warm feeling is in existence since 2015. Steakhouse and coffee shop for premium coffee, breakfast, lunch as well as music and sports viewing facilities. For groups, families and sport enthusiasts in Mossel Bay in the Western Cape along the famous Garden Route. With indoor dining space as well as outside on the deck from where you can admire the wide view over the bay and the impressive Outeniqua Mountain range in the background. Nothing beats the nostalgia invoked by the sight of a huge ship laying quietly at anchor in the middle of the bay. Stars promises fresh healthy food at affordable prices as well as a full range of premium coffees. Pleasantly informal restaurant at Quay 4 in the Mossel Bay Harbour. Surrounded by the sea on three sides and offering the perfect venue for weddings or functions such as birthday parties. Also offers daily menus for lunch, brunch, dinner as well as takeaway food. 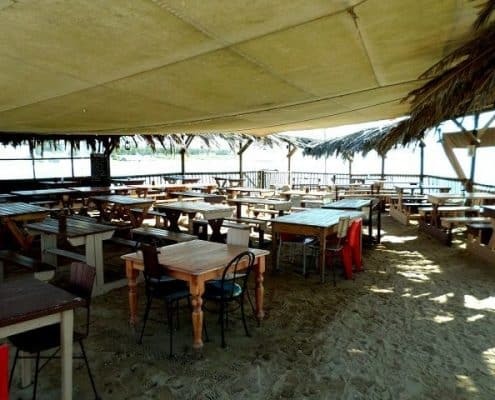 At the alfresco Kaai 4 Restaurant seating is in the open on the sand under a tarpaulin roof with sturdy no-nonsense tables and benches befitting the outdoor environment.